As much as you want to ignore the Kardashians, you just can't. They are all over the television, internet, clothing stores, and gossip blogs. I even admit to watching their shows. 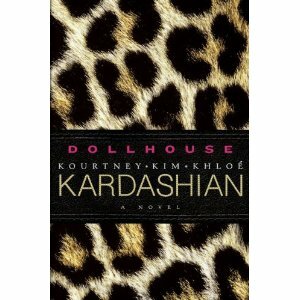 But I draw the line at purchasing Kourtney, Kim and Khloe Kardashian's book, Dollhouse. The novel is a dramatic peek into the lives of three sibling celebs. The leopard cover is cute, but I doubt the content is worth my pennies. I will get more entertainment from watching their many reality shows. Rumor also has it that HarperCollins may publish a special edition of the novel, with the cover decorated with Swarovski crystal. We all know the Kardashian sisters love bling! Do you plan to read Dollhouse?